Governor's Auto Body provides fast, reliable towing services in the East Hartford area. Were you in a car accident and need your vehicle towed? Stuck on the road with a flat tire? Car leave you stranded in rush hour traffic? Locked out or run out of gas? Have a clunker you want to get rid of? No worries! 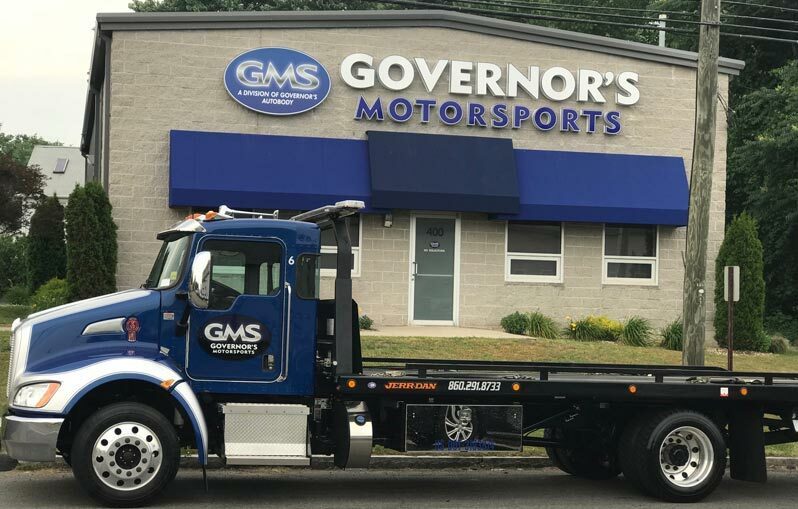 Governor's Motorsports is the company to call when you are in need of a tow. Partnering with a reputable towing service is essential to ensuring the safest and best possible experience. We have the capability of towing light, medium and heavy-duty vehicles. We provide you with the fastest and most reliable towing service in East Hartford, CT area. Our professionals are trained to help you with all the towing services you may need. No worry about being stranded alone, we will dispatch a professional as soon as we get notice. You can rest assured that we will offer you fair honest pricing and reliable service. We are ready to handle any challenge that our customers may have. We will get you back on the road in no time. All you have to do is Call! 860-291-8733.